LONDON.- The sixth edition of the leading international contemporary art fair is sponsored by Deutsche Bank and takes place in London from 16-19 October 2008. 151 of the worlds most exciting contemporary art galleries, representing 27 countries, will present new work by over 1,000 artists at Frieze Art Fair. 2008 will see 11 galleries exhibiting at Frieze Art Fair for the first time, including Juliètte Jongma from Amsterdam, Long March Space, Beijing, Mary Mary, Glasgow and Vermelho, Sao Paulo. Taking place in the beautiful setting of Regents Park in a large temporary structure of over 200,000 square foot, Frieze Art Fair 2008 is designed by renowned architects Caruso St John. Four galleries  Annet Gelink, Hauser & Wirth, Taka Ishii and Timothy Taylor have all employed architects to design their stands. Each year the fairs organisers invite two spaces from developing centres of art to the fair, in 2008 they are Appetite from Buenos Aires and PiST from Istanbul. 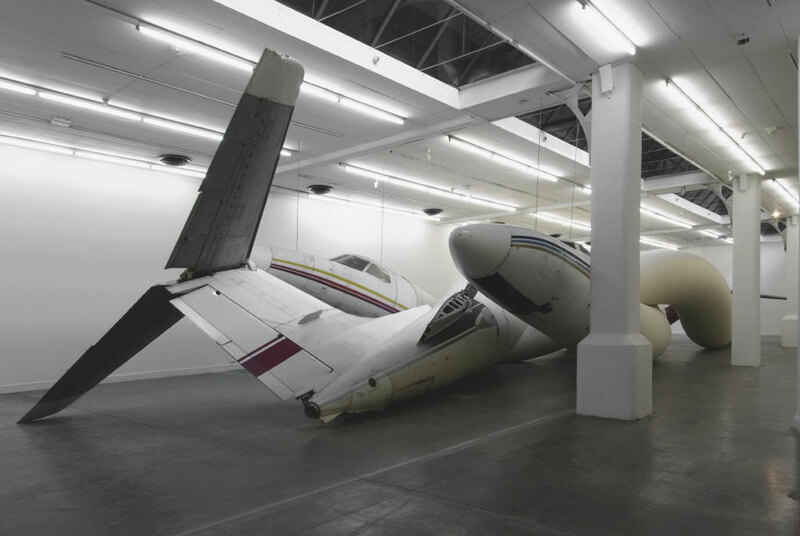 Eleven artists have been commissioned to create site-specific work for Frieze Art Fair 2008. This years Frieze Projects engage directly with the ecology of the fair and its surroundings. Working closely with Caruso St. John, Jeppe Hein has drawn together the artificial construction of the fair with the natural surroundings of the park in an installation of subtly animated trees outside the entrance to the fair. Norma Jeane will present three transparent booths for visitors of the fair to smoke in. Each smoker will be part of the performance which is a comment on how the once social activity of smoking has been transformed through regulation and legislation into something deeply anti-social. Agnieszka Kurant will present a trio of trained parrots that have been taught to use an alternative language. Cory Arcangel has intervened in the fairs gallery selection process, giving one gallery unsuccessful in their application to this years fair the opportunity nonetheless to exhibit. Tue Greenfort will excavate a chamber between gallery stands presenting an installation that is both a space to relax in and  literally  a distillation of the essence of the visitors to the fair, with dehumidifiers imperceptibly extracting the moisture from those who enter. Further projects from Pavel Büchler, Ceal Floyer, Sharon Hayes, Bert Rodriguez, Allen Ruppersberg and Andreas Slominski are presented throughout the fair. This years European Partners are MUSAC from Spain who will provide the fairs own mobile phone ringtone and Kling and Bang from Iceland who will reconstruct Rejkaviks famous Sirkus bar, a favourite with artists and musicians, within the fair. Icelandic beer will be served. Frieze Projects are curated by Neville Wakefield and presented in association with Cartier. Boris Groys, Carsten Höller, Yoko Ono, Raqs Media Collective and Cosey Fanni Tutti are all part of the international line-up of artists, philosophers, writers and cultural commentators taking part in the richly diverse programme of Frieze Talks 2008 which is curated for the first time by the Co-Editors of frieze Jennifer Higgie and Jörg Heiser and Associate Editor, Dan Fox. This years panels, conversations and keynote lectures will discuss, illustrate, perform and argue some of the myriad issues prevailing in the world of art and visual culture today. Cuban artist Wilfredo Prieto is the winner of the 2008 Cartier Award. For the fair this year Prietos commission is a classic red carpet, the sort associated with wealth and fame, which will trace a route through the fair that anyone can follow until it leads out and up to join the top of a very tall flagpole. The piece is partly a gestural act that draws a line from the insider world of the art fair to the outside. The Cartier Award is widely acknowledged as one of the worlds leading art awards. For Frieze Art Fair 2008, Frieze Film presents four films created on YouTube. An experiment in film-making, each three minute film is created out of elements from hundreds of contributions to an open submission call for films inspired by the themes of Cormac McCarthy's 2006 novel "The Road". Each film draws on different strands - the destructive apocalypse, the father son relationship, the bleak landscape and the road itself. The soundtracks are provided by underground bands such as Sunn O))) and A Silver Mt. Zion. Each movie will be broadcast on Channel 4 in the admired 3 Minute Wonder slot from Monday 13  Thursday 16 October. This year the Sculpture Park at Frieze Art Fair has almost doubled in size, with sixteen sculptures on show in Regents Parks English Gardens. Artists presenting work at the 2008 Sculpture Park include Americans Robert Melee and Michael Craig-Martin, Indian artist Subodh Gupta, Ugo Rondinone from Switzerland, Norwegian artist Gardar Eide Einarsson and British artist Harland Miller. Other highlights will include work by Brazilian artist Ernesto Neto, Iranian artist Shirazeh Houshiary and Ângela Ferreira, an artist who was born in Mozambique but now lives and works in Portugal. For the first time sponsorship by the Heath Lambert Group, incorporating Blackwall Green, has provided bursaries enabling innovative and diverse proposals by some participating galleries that may not otherwise have been realised. Frieze Education, which takes place annually in the Deutsche Bank Education Space within Frieze Art Fair, will work with ReachOutRCA (The Royal College of Arts Educational Outreach Team) for the first time in 2008 to realise its artist-led programme of events for children and young people. Aimed at 5-12 year olds, the weekend workshops and an activity guide inspired by the Frieze Projects programme are both free.